A first-of-its-kind gathering of McKinley Park neighborhood businesses looks to inform community planning at the Business Focus Group breakfast on September 19th at the 36Squared Business Incubator. 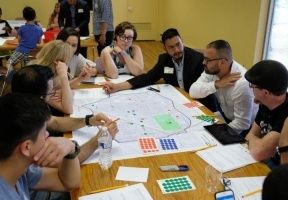 Part of the McKinley Park Development Council’s project to create a comprehensive neighborhood plan, the event welcomes the participation of all enterprises in the McKinley Park Community Area and the Central Manufacturing District. 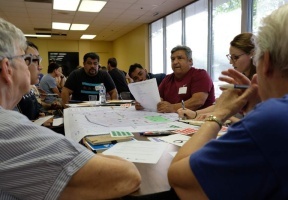 The focus group’s business outreach is an important component of the neighborhood plan, which is administered as a project of the Chicago Metropolitan Agency for Planning (CMAP), said council President John Belcik. “This plan will help guide McKinley Park into its future,” he said. The focus group, which is free for attendees, will solicit ideas for improving the local business and economic environment. This feedback will then be integrated into the neighborhood plan, already under development and with a targeted release date in 2020. The event takes place at 8:30 a.m. on Wednesday, September 19, at 3636 S. Iron St., Chicago. All McKinley Park businesses are encouraged to RSVP by contacting CMAP’s Ricardo Lopez at rlopez@cmap.illinois.gov or (312) 386-8766.